'A stitch in time saves nine'; education is that stitch that saves a nation from failing, it is the backbone without which a nation falls short to stand alone. As cities and nation states battle to alleviate poverty, HIV or recession, higher and vocational education is under huge pressure from world governments to play a key role in easing these blazing issues and securing their global position. As global markets develop rapidly, governments perceive that innovation and economic growth will be generated from growing global networks of researchers, students and institutions. But this challenges the traditional roles of universities and colleges and requires these educational institutions to change their purpose and practice of higher education. When the rest of the world thinks higher education is a solution to today's concerns, British Council thinks no different. British Council believes that international higher and vocational education is critical for the well being and prosperity of nations, institutions and individuals. The British Council authority in the field of international higher and vocational education is helping to shape the future global landscape of the sector by engaging with policy makers, education professionals and key decision makers to contribute to the sector's growth worldwide. INSPIRE- International Strategic Partnerships in Research and Education is a British Council funded project that aims to significantly strengthen the academic and research partnerships between the Higher Education Institutions in UK and strategic selection of countries in Central and South Asia (CSA). The principal aim of INSPIRE is to support a transformational increase in the number and scope of Higher Education partnerships between the UK and the Universities in the CSA region. Under its INSPIRE project, British Council sent two delegates, Professor Dr M Muhibur Rahman, Member, University Grants Commission of Bangladesh and Professor Dr M Anwar Hossain, Department of Biochemistry and Molecular Biology, Dhaka University, to an international conference titled ' 5th Going Global Conference 2011'. 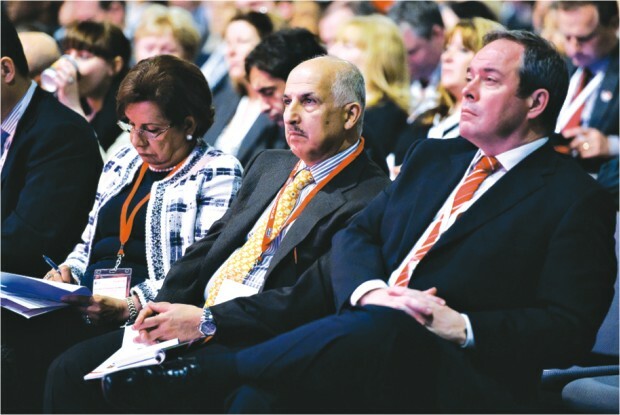 Going Global Conference attract important figures across the world. Going Global is one of the world's largest international educational conferences attracting policy makers, education professionals and key decision makers from the higher and vocational educational sectors across the world. 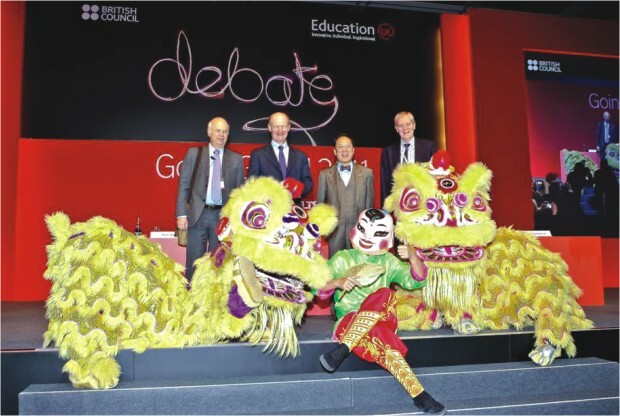 Usually held in the UK, this time the conference was held in Hong Kong from March 10 to 12, 2011. Going Global Conference 2011 attracted more than 1100 delegates and 15 Ministers of Education, 50 International Vice Chancellors and Presidents and the British Minister for Universities and Science and the conference reinforced British Council's role as a global convenor of real influence. The theme of this year's conference was 'World Education: the new powerhouse?' The sub- themes that were discussed under the main theme were investing for return, regional education hubs, new purposes and universities and colleges. The Going Global Conference 2011 included presentations, debates, discussions, questions and answers sessions by Speakers from different countries. Two plenary and 32 parallel sessions were also held. When asked what changes could be brought to the education system in Bangladesh to cope with the transition worldwide, the two delegates shared that there are rooms and scopes for modifications in the system. For instance, they talked about outsourcing universities in Bangladesh, like Monash University in Malaysia. They also suggested that Bangladesh Government should increase the percentage allocated for education in the country's yearly budget, build collaborations with universities that will act as a synergy to pull resources, and remodel the existing educational policies. The 6th Going Global Conference will be held in the year 2012 in London. It is through conferences like these that great minds from the world over gather, all with the same objective: exchanging ideas to mitigate the issues prevailing in the world today.